For Job Seekers: Whether you're looking for a new job, or ready to take the next step in your career, we'll help you find the opportunity that's right for you. For Employers: The AFP Career Center is the premier electronic recruitment resource for the industry. Here, employers and recruiters can access the most qualified talent pool with relevant work experience to fulfill staffing needs. AFP is proud to announce its new online consultants and resource directory. Be one of the first to take advantage of this great opportunity. Increase your revenue by placing your company in front of fundraising and nonprofit industry professionals worldwide. One of the largest collections of resources for the fundraising professional. Both members and non-members can order AFP Bookstore products. AFP members can save an average of 10% off non-member prices. 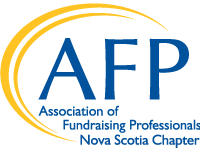 The AFP International Conference on Fundraising is held each spring and brings more than 3,500 fundraising professionals together to discuss, teach, and learn about important trends and issues related to fundraising and philanthropy.